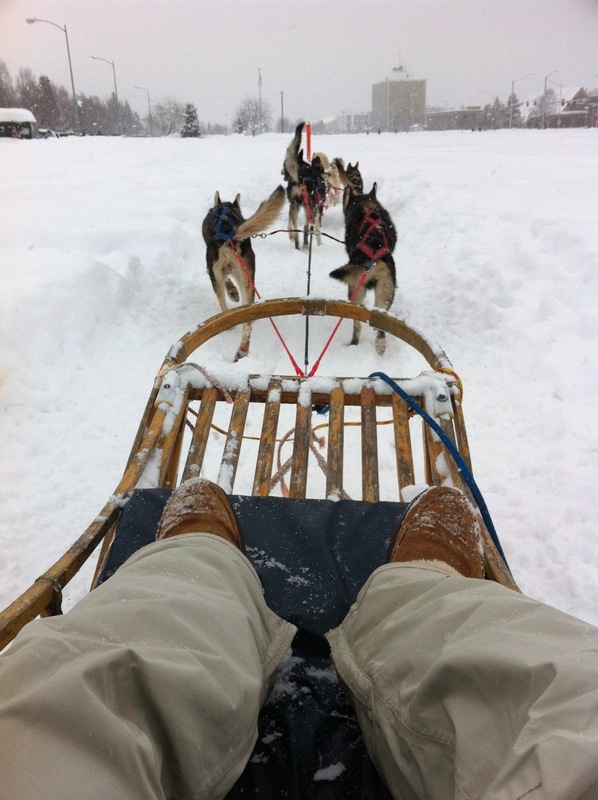 I recently traveled to Anchorage, Alaska for the 2012 Iditarod. The Iditarod is heralded as, "The Last Great Race" and is one of Alaska's most anticipated and exciting sled dog races. The race begins every year in downtown Anchorage on the first Saturday in March. The mushers and a team of 12-16 dogs will travel over 1,100 miles from Anchorage to Nome, over a 10-17 day period. I was so grateful to be able to witness the start of the race. The dogs are all so excited, barking and howling at each other, in anticipation of the race. The crowds line both sides of the streets waiting for their favorite mushers to be called. I thought the announcer's description of the event, summed it up quite well..."the Superbowl of Ice and Snow!" 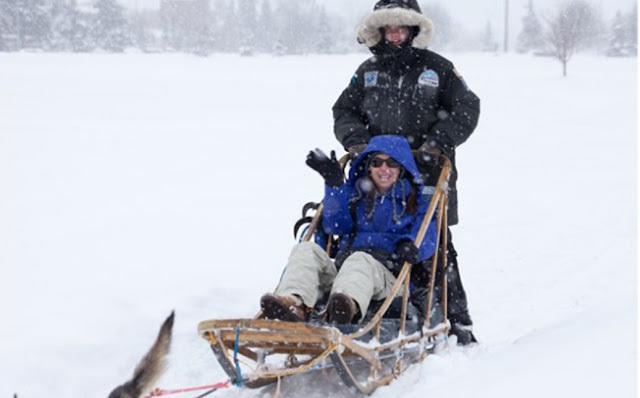 The Iditarod coincides with the Fur Rondy festival. Fur Rondy is a two week festival, which typically starts at the end of February and ends the weekend of the Iditarod. The festival has numerous events, namely the "Running of the Reindeer" race, ice sculptures and more. As part of the festival, we were able to take a quick dog sled ride. What an experience! I only wished it was a longer ride. If I had to describe the dog sledding in one word, peaceful.